Ever wanted to know just what the tangible environmental benefits are of recycling at work? BusinessRecycling now provides this valuable information for some of the most recycled materials. Greenhouse Benefits - which we converted to number of kilometres driven by an average car. 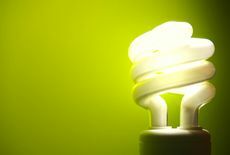 Energy Savings - which we converted to average household monthly electricity requirements. Water Savings - which we converted to average sized bath tubs full of water. Landfill Space Savings - which we converted to number of average sized wheelie bins of solid waste. You could find out how much water is saved recycling paper; how much greenhouse gas is saved recycling plastic; or how much solid waste is saved by recycling concrete. So why not discover the environmental benefits of recycling? Click on the materials to find out what you're saving. Find out more about the Environmental Benefits of Recycling Study.